For some, “getting baked” means over-indulging in your partying agent of choice; forgetting it all and let the day flow by until mañana. Naturally, I didn’t resort to anything illegal but I’m thinking there ought to be a law against muffins this moist and tender and bursting with fruit. No, they don’t taste like commercial baked goods – partly because I used less sugar. They’re also free of preservatives and contain no unpronounceable ingredients. I think they’re better but I plead guilty to bias. These muffins were born of fresh blueberries, butter, eggs, spelt flour and whole cane sugar (I used Sucanat). It’s the spelt that gives these muffins a slightly nutty, grainy taste. Between using less sugar and the high-fiber, nutrient-dense flour, these muffins could serve as a healthier, homemade alternative if you’re really jonesing for something sweet to munch. 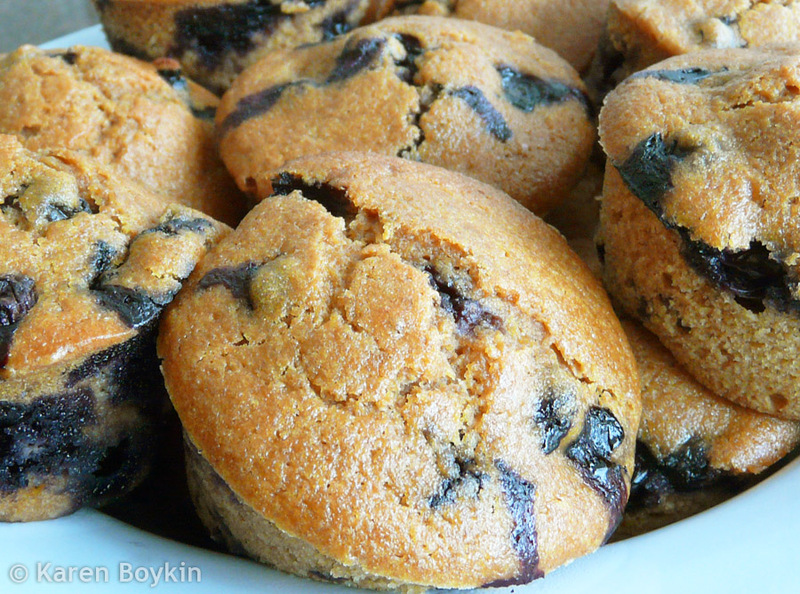 See Whole Foods for the Blueberry Spelt Muffins recipe. I found helpful ideas for modifications in the comment section. Might be worth taking a look. I must try that! Oh, and I totally agree – nothing, but nothing compares to homemade.